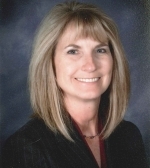 Pamela Gill has been employed with Kearns Improvement District since 1986. Prior to her appointment as General Manager, Ms. Gill served in different positions with the District. Ms. Gill serves as a Board of Trustee of the Utah Association of Special Districts and Chair of Convention Committee. Ms. Gill serves as Chair Elect on the Board of the American Water Works Association, Intermountain Section and as a member of their Legislative Committee. She also serves as Immediate Past President of the Women of Water Organization. Ms. Gill has a Bachelors of Science in Business Administration and is a Certified Public Manager. Ms. Gill is married, is the mother of three children and grandmother of thirteen.